This Lanka Kade Yellow & Black Bee is a chunky wooden bumble bee figure, painted with stripes and a white wing on each side, with the edges left natural to show off the grain of the wood. Team up this wooden figure with some creepy critter friends to build an insect collection. 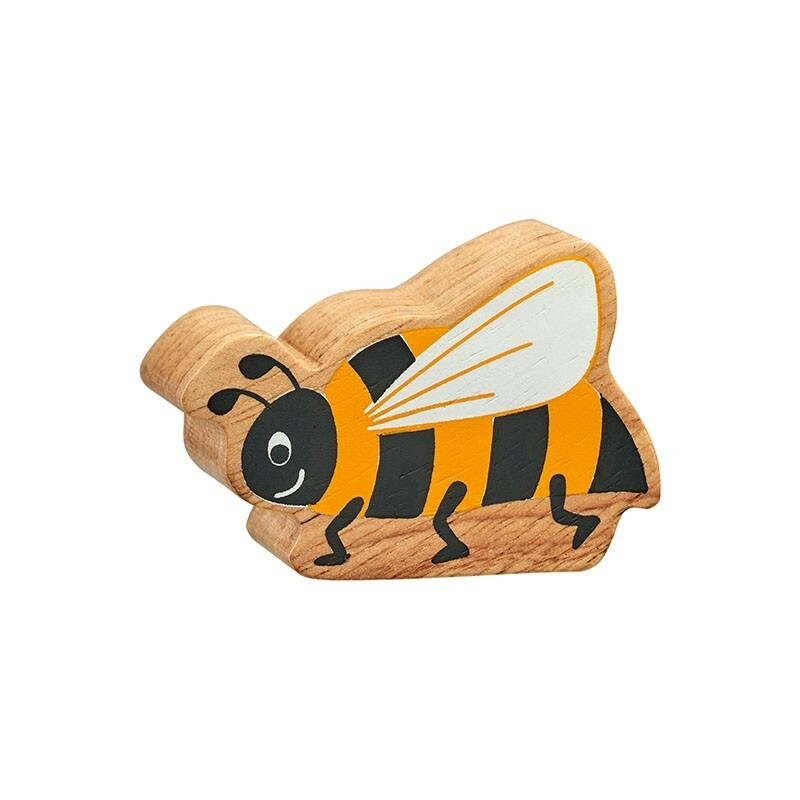 Lanka Kade natural wooden figures are ethically crafted from sustainably managed rubberwood and are perfectly sized for children to enjoy on a toy farm. Lanka Kade colourful figures have painted sides and natural edges. These wooden figures look great, are hard-wearing and a great price too. Build stacking animal towers, create a farm or zoo collection, pop into a party bag or story sack, and enjoy in imaginative small world play. All figures are compatible with the Farmer's Field, Pig and Sheep Barn, Noah's Ark and Deluxe Farm sets. This figure is 2.5cm thick.